It doesn’t matter how old they are, every game should be on the Switch. This morning’s Nintendo Direct adds five more existing favorites to the console’s upcoming lineup, from a 2007 Square Enix RPG for the Nintendo DS to the original Dark Souls. 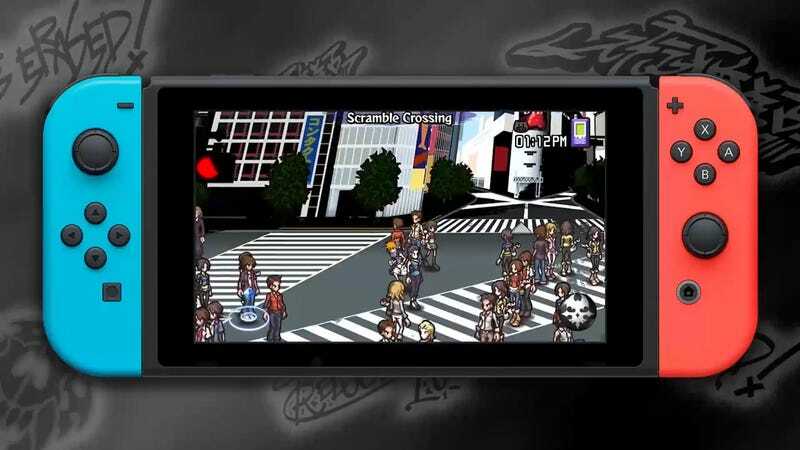 The rhythmic battles of the quirky 2007 Square Enix RPG The World Ends With You is coming to Switch later this year, featuring both Joy-Con control and touchscreen support. The switch version also promises a new epilogue that sheds even more light on the games’s story. Sometimes waiting is a good thing. Switch owners won’t get their hands on NIS America’s outstanding action RPG Ys VIII: Lacrimosa of Dana until this summer, but they’ll also never have to experience the shoddy translation that caused the PlayStation 4 and Vita versions to be completely re-localized. Coming to the Switch this Spring, Hyrule Warriors includes all of the content and DLC from the Wii U version (and Legends for the 3DS), plus new costumes for Link and Zelda based on their appearance in Breath of the Wild. This underappreciated gem of a Wii U games arrives on Switch May 4, adding surfing ape Funky Kong to its roster of playable characters. The first Dark Souls gets a Switch port on May 25, including the the main game plus the Artorias of the Abyss DLC. Praise that sun, people. Five down, the rest to go.